Amish builders are within range of Wisconsin towns and cities including Madison, Eau Claire, Appleton, Green Bay, LaCrosse, Janesville, Oshkosh, and others. And since Amish builders typically travel up to around 2 hours for work, communities are even within range of the Milwaukee vicinity including Racine, Kenosha, and Waukesha. Notable Amish communities are found in the Badger State in locations including Cashton, Hillsboro (Vernon County), Kingston & Dalton (Green Lake County), Tomah, Clark County, and other areas. Are you an Amish builder located in Wisconsin? Feel free to share your contact info and company description in the comments section below. Know about a good WI Amish construction business? Share the word here. The community at Blair is the second-oldest in the state (1960), with several hundred Amish living here, among them construction businesses. This west-central Wisconsin community is within a reasonable distance of cities and towns including Eau Claire, LaCrosse, Onalaska, Lake Hallie, Black River Falls, Tomah, Menomonie, Chippewa Falls, Marshfield and others. The Loganville Amish settlement in southern Wisconsin is a small community of 200-250 Amish people. This location is within range of Madison, Sun Prairie, Fitchburg, Wisconsin Dells, Janesville, Baraboo, Reedsburg, and other communities. This small community in southern WI is within range of Madison, Beloit, Janesville, and other municipalities. Amish builders do both new home construction and renovation. Here an Amishman measures for installation of a sink. The small Amish settlement at Bonduel in north-central Wisconsin is near the cities and towns of Green Bay, Appleton, Sheboygan, Manitowoc, Fond du Lac, Oshkosh, Shawano, Wausau, and others. Siding, garages, remodeling, new homes, carpentry. In the vicinity of Cashton you’ll find the state’s largest Amish settlement (located in both Monroe & Vernon counties) , with well over a thousand Amish residents. Businesses here are within distance of LaCrosse, Prarie du Chien, Tomah, Black River Falls, Onalaska, Winona (Minnesota), and others. Amish builder of full-size cabins as well as smaller items including bird houses and feeders. Cabins are typically built at the business and moved to location, though Kauffman’s can build on-site within about a 10-mile range, if reachable by horse-drawn transport. This small community is found about a half-hour southwest of Eau Claire. Specializing in both ag and residential work as well as metal and foam roofing. Neil Miller Roofing provides services for customers in eastern Minnesota and Wisconsin. Amish have become known for the quality of the construction work they do. As Amish have focused on entrepreneurship in lieu of farming (many Amish still do farm, though land prices in some areas make that vocation less achievable for all), trades based on manual labor and craftsmanship have proven a natural fit for the Amish. Formal education typically ends at grade eight, soon after which most Amish teens begin work and learning a trade. Businesses in general have flourished in Amish society, with a high survival rate and a “family” flavor characteristic of Amish companies. Amish construction include both commercial and residential building. 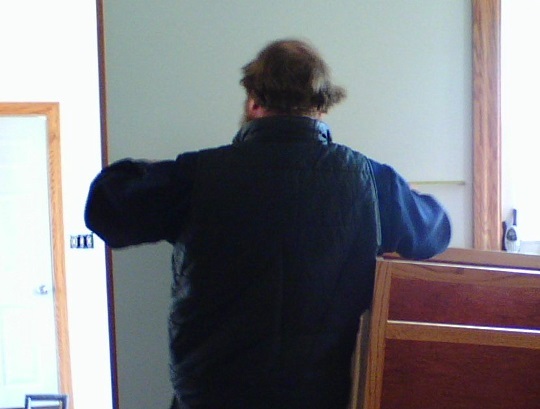 Besides new homes, Amish also do renovation. In addition to general contractors, you can find Amish specializing in trades including roofing, siding, deck construction, masonry, carpentry, and other areas. Note: the information listed in this guide can change. To save headaches be sure to check with the companies above for the most current info. Typically when phoning the Amish, you will leave a message on a voicemail and should receive a reply. To locate an Amish builder in a state besides Wisconsin, try our main Amish Construction Companies directory. Looking for a different type of Amish product or company? Check the Amish Business Directory main page. This business directory is for informational purposes only and should not be construed as a recommendation of any businesses listed.